The Shanty Quilt: Part One – Leaving Home – is there room for me to sew? 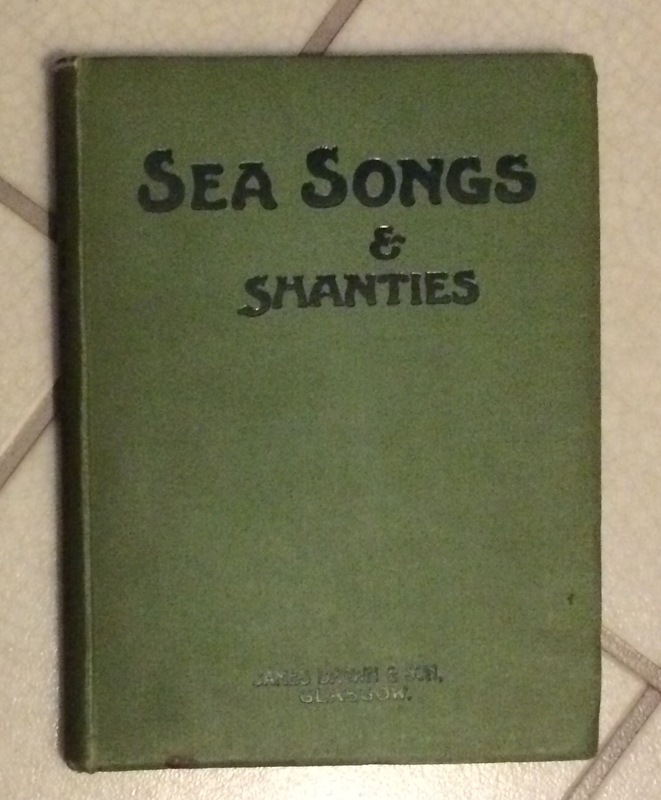 Last year, I wrote about my search for a recording of sea shanties remembered from childhood and how, along the way, I started to learn about different types of sea songs, shanties, and their meaning. This earlier post can be found here. It is considered unlucky for women to sing many of these songs and so, rather than risk bad luck, I decided to stitch some of the lyrics instead. And so my Shanty Quilt began. The Shanty Quilt has a narrative – it starts with setting out on voyage, getting out to sea, enduring storms and privations, returning home, having shore leave and then starting the whole cycle again. The first three panels are about leaving home. They are based on two songs – Rio Grande and The Leaving of Liverpool. 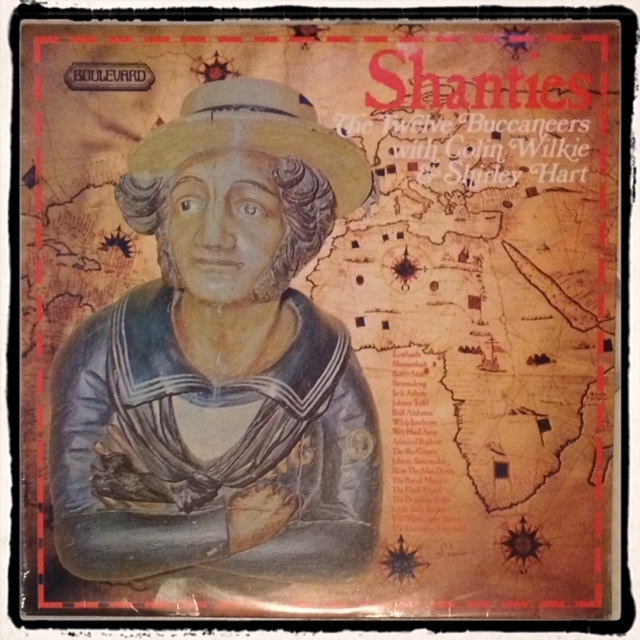 These are both sea songs, rather than shanties – shanties are work songs which are usually sung or chanted to a rhythm that supports the task in hand. Sea songs are songs of the sea; they often tell a story of adventures back on shore, about sweethearts loved and lost, or about missing home. 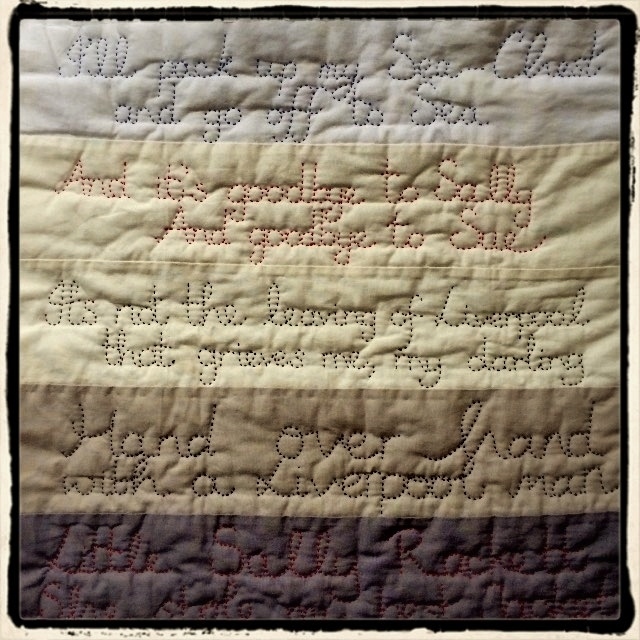 When planning the Shanty Quilt, I wanted it to have a circular narrative structure, so the first and last panel both feature the same lyric to illustrate the idea that the sailor lands, has some time ashore, spends his pay, packs up his belongings and goes to sea again. It is a never ending cycle, if the songs are to be believed. New York town is no place for me. / Away for Rio! / So I’ll pack up my sea chest / And go back to sea / And I’m bound for the Rio Grande. I have always been intrigued by the idea of sea chests. What was kept in them? Treasured possessions? Reminders of home? Or something mundane – spare clothes and eating implements? The last time I visited HMS Victory, one of the very knowledgeable guides informed me that most ordinary sailors in the Royal Navy in Nelson’s day owned very little, and might just stash their few possessions in a discreet corner; there simply wasn’t the space to store sea chests for the whole crew. This makes sense of course, but I think I prefer the idea of the song rather than the reality in this case. I need to research it further before I finish the quilt! Oh farewell to Sally and farewell to Sue / Away for Rio! / And farewell to you on the pier head too / And we’re bound for the Rio Grande. My favourite recording of this particular sea song is from Norway’s Storm Weather Shanty Choir, who recorded it for their 2009 album, Way Hay (And Away We’ll Go). So fare the well my own true love / And when I return / United we will be. / It’s not the leaving of Liverpool that grieves me / But my darling when I think of thee. There are many recordings of this particular song but for me, the best is the one I remember from my childhood. The Twelve Buccaneers recorded the version I grew up with but sadly their recording is no longer available. 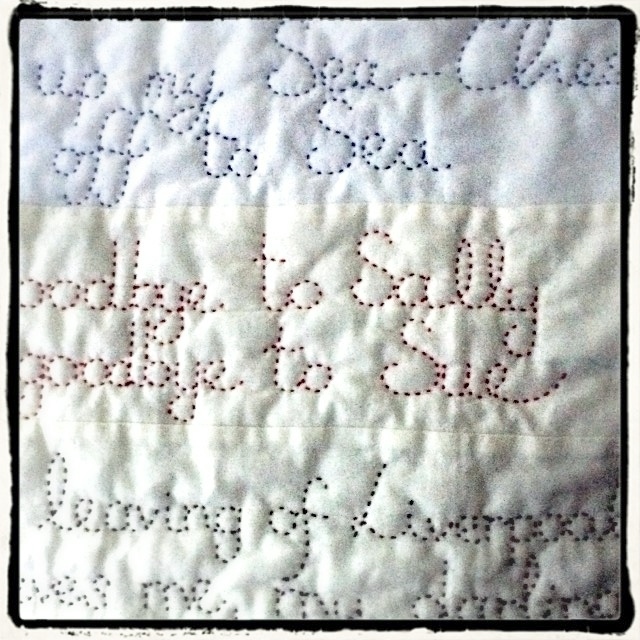 But I wouldn’t have thought of a quilt about sea songs and shanties without it.